it at the Mechanical Music Digest. To access the list, Click Here!!. Major Supply House for Pianos and Player Pianos. I use this company a lot. You must have an account to buy supplies. We carry a full supply of piano parts for repair, tuning, etc. We also carry benches, piano covers, lamps, etc. Ragtime sells numerous components for the player piano, nickelodeon and other pneumatically operated devices. They have a catalog which you must order. The Ragola and Antique Nickelodeon Co.
Ragola has numerous parts for nickelodeons and pneumatically operated devices. I'm a Chinese piano suppliers, we always offer "Sunbird"&"Moonriver" brand. liquidate. Too bad, because he is a real resource! Someone inquired about getting good cloth and leather in Australia. Here is the name of a supplier that sells to Schaff etc. It is not listed in the catalogs, you have to specify the Australian cloth. (03) 9560 8016 or 5926 fax. H. J. Fletcher & Newman Ltd.
Current catalog lists the following prices. Write or call them for their free leather catalog and sample book. Nice folks to do business with and their prices are competitive. Being a pipe organ builder, I carry a running stock of these items in box-quantities. For those of you who don't wish to get involved in inventorying these items yourself, I can re-sell you whatever you need. We especially have a strong selection of Brass screws, as well as a sizable cache of older, blued steel screws (not those junky foreign- made things masquerading as screws! ), which are quite useful for restoration work on reed organs and pianos! You'll pay more, of course, than from a hardware; partly for the trouble in handling the small orders, but also because the quality is so much better. Hoping I can be of help when needed. . . I was in a local electronics store yesterday and came across a couple of "pull" switches. I remembered someone saying earlier in this forum that he couldn't find a suitable replacement pull-switch anywhere. The switches come with a black plastic mushroom shaped knob which could be removed and replaced with a metal replica of the original knob and bonded with Loctite. The fallboard decals are $16.50 (minimum) plus SASE, but don't know the price of the soundboard decals. I have been using this company's decals for more than a decade with excellent results. In my opinion, they have the largest stock of decals anywhere in the world. They are very reasonably priced and apply very easily. All their decals are burnish transfer type. They also offer custom decal making. It's pretty expensive but they do excellent work when given a good picture to work from. Subject: Pianocorder Parts Need Service or Parts for the Pianocorder System? 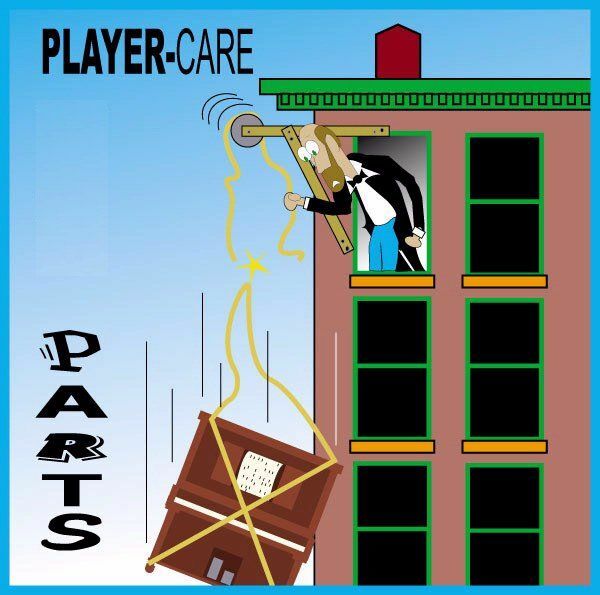 As for service, the Player Technicians Listing is the best I can offer. 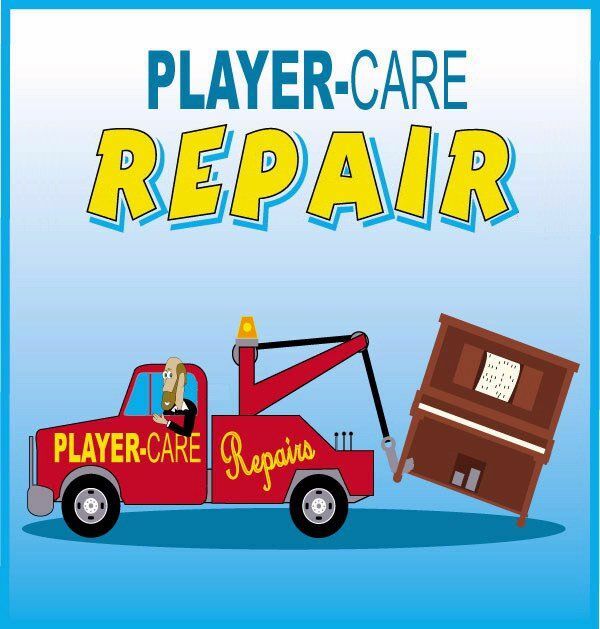 If a technician says he/she works on ALL types of players, it's a good bet they will work on a Pianocorder system. However, I don't know of any listed technicians (myself included) who actually repair the individual circuit boards. This page was last revised on October 16, 2014 by John A. Tuttle.